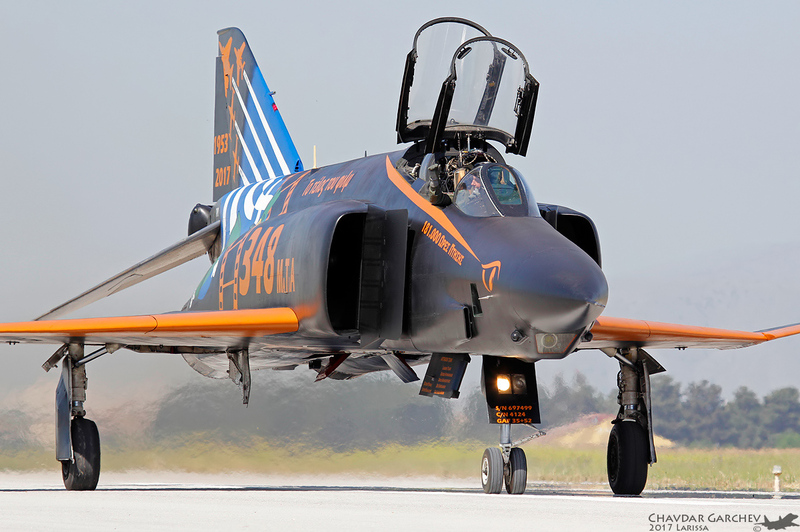 On May 5, at Larissa airbase, Greece, was the final flight of the Hellenic Air Force RF-4E, the last “Recce” Phantoms in Europe. The three RF-4s which took part in this final display included tail number 7499 marked specially for the event, tail number 7450 with special markings from 348 RTS’ 60th anniversary in 2013, and tail number 71765 in standard HAF livery. So with the end of Greek RF-4E operations, only the Japanese and Iranian air arms still fly the type.